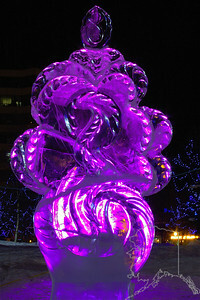 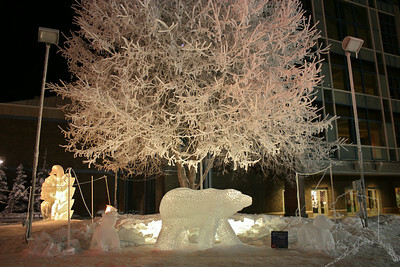 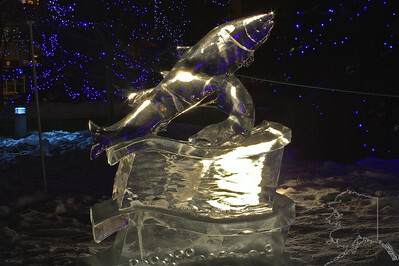 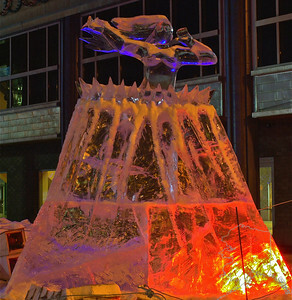 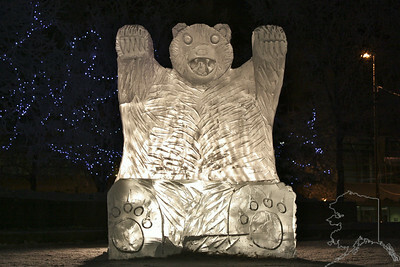 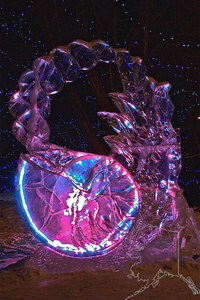 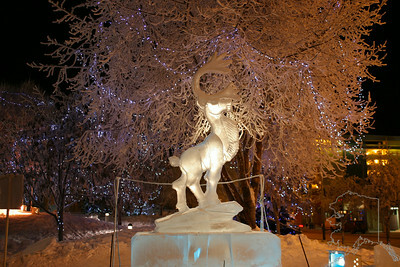 Every year Anchorage has a ice carving contest. 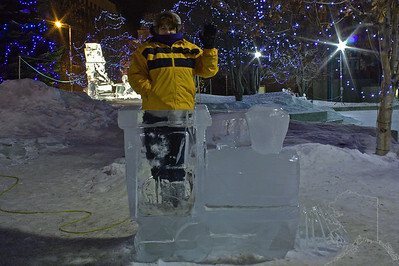 Donnette standing in an ice train. 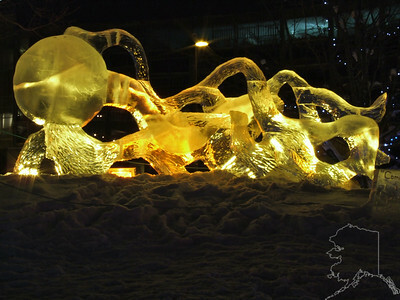 Every year Anchorage has a ice carving contest. 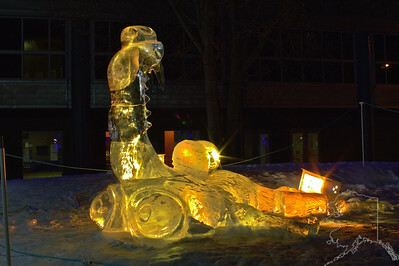 This is scrat with his nut. 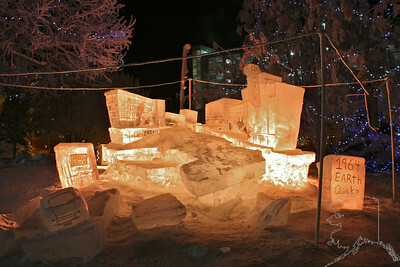 Every year Anchorage has a ice carving contest.